A fast-growing array of structures and buildings has been emerging across the ITER worksite platform under the control and supervision of the European Domestic Agency. But—timed to coincide with the increasing number of components being delivered by the Domestic Agencies—a second actor has been gearing up to enter into the scene: the ITER Organization, which is responsible for assembly of the plant systems in the completed buildings and the assembly of the Tokamak itself. The formulation of an effective ''matrixed'' construction organization—implying cross-functionality and multiple reporting lines tailored to specific functions—is intimately tied to the success of the next phase of the ITER mission. A first step was already taken when the CMA (Construction Management-as-Agent) contract was signed with MOMENTUM at the end of June 2016. But for the full launch to occur, it remained for ITER to make the necessary internal organizational adjustments to support full implementation of the strategy for assembly and installation. The formulation of an effective "matrixed" construction organization—implying cross-functionality and multiple reporting lines tailored to specific functions—is intimately tied to the success of the next phase of the ITER mission. The matrixed structure is designed to enable clarity and simplicity of each function across an organization and mission which, viewed as a whole, is extraordinarily complex. Why is such an approach necessary? The complexity of the ITER machine itself (tokamak and support systems) is multiplied by the intricate integration of component manufacturing involving multiple suppliers. Many aspects of the ITER Project must therefore proceed in parallel—whereas, in a simpler project, they would proceed in easily defined, stand-alone sequences. As a primary example, while the design of most major critical path components, structures, and systems has been finalized for ITER, small adjustments may still be needed. Yet rigorous principles of materials selection, component and system design, nuclear safety, quality control testing, quality assurance oversight, risk management, configuration control and systems engineering must be followed and rigorously managed for each system and within each sequence. Above all, thorough documentation must be maintained from design through assembly, installation, testing, and operation. Given the first-of-kind nature of ITER, this degree of complexity exceeds that of other industrial construction projects of similar scale, such as fission-based nuclear power plants. The new construction organization is thus designed to be both rigid and fluid: rigid in adherence to strict controls and clearly defined parameters, and fluid in its capacity to adapt its focus and expertise from one installation and assembly sequence to another, understanding that different sequences may be at different stages at any given point in time. The matrix of oversight, coordination, and expertise will result in three new project teams that interface directly with construction contractors. These three teams will oversee tokamak assembly, systems assembly in the Tokamak Complex, and plant installation, respectively. 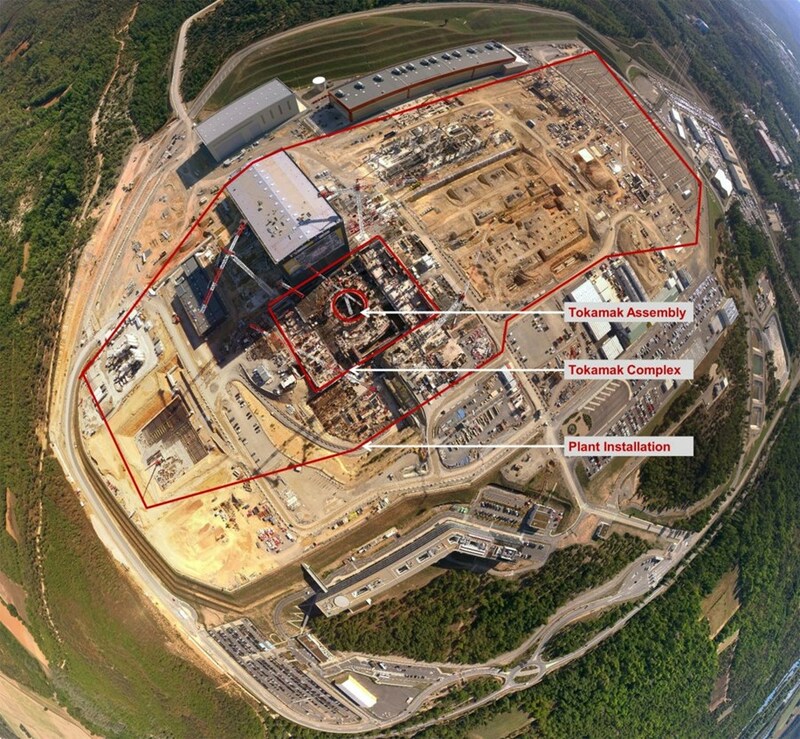 Each team will draw expertise from existing ITER engineering departments, the ITER Central Integration Office, the Domestic Agencies, and the Construction Management-as-Agent. This enables taking full practical advantage of the accumulated working knowledge of component design and manufacturing that has been developed across the ITER Organization. Among other aspects, the goal is to ensure that in-field engineering support is available in real time during assembly and installation to resolve any emergent design non-conformities, design changes, and deviation requests—in order to meet project commitments while remaining on budget and on schedule.